My skin is not the best canvas for makeup but that’s just the way it is. I suppose I don’t take care of it properly. I don’t eat a well balanced diet I love sweets which is bad for our skin too enough said. I know a lot of you already have read a blog or 2 on how to have better skin. This blog is not about that sorry. But I will have to try to make my skin better. 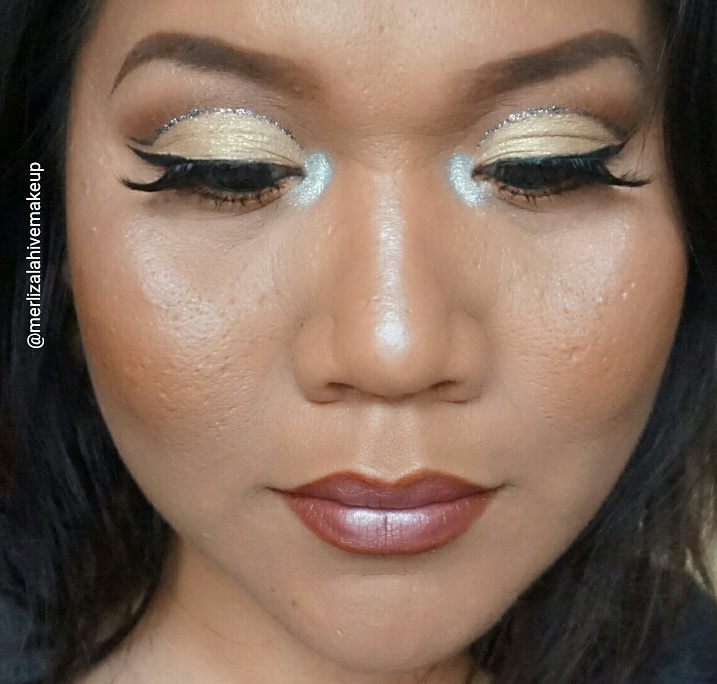 This blog is about the makeup look I created today. 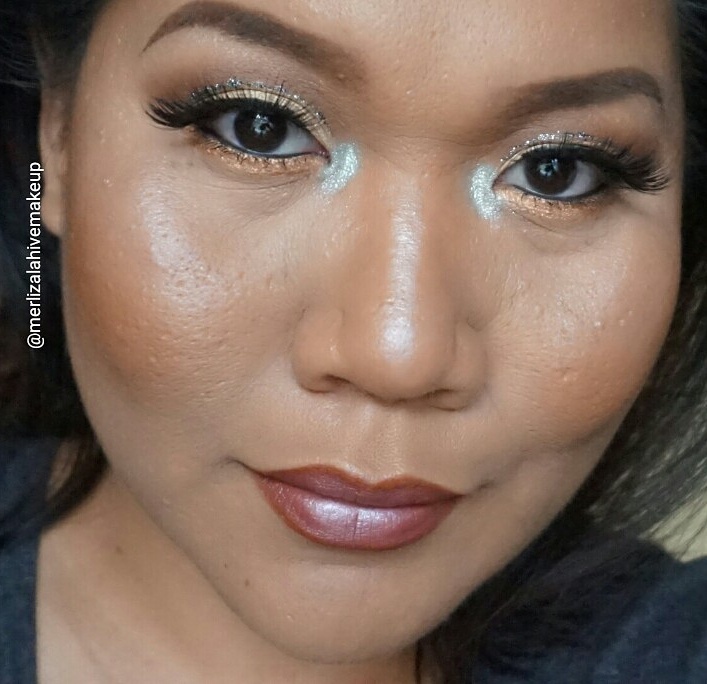 I used a mixture of product from the cheap to expensive product. The eye primer you probably already know W7 concealer in Medium deep. 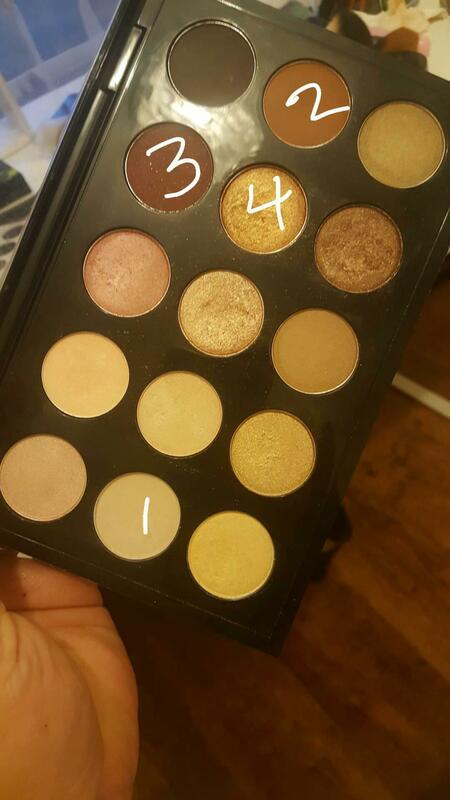 Eyeshadows is by M.A.C. 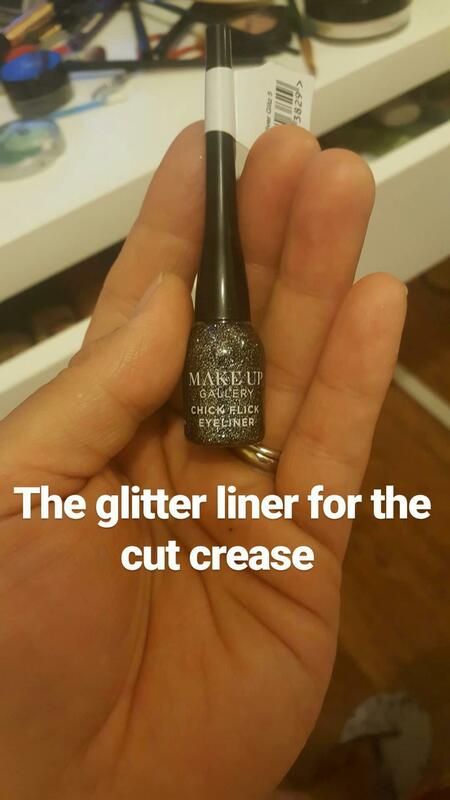 The Glitter liner is from a shop called DEALZ everything is like €1.49 so i picked up this glitter liner. Packaging is pretty but I don’t think you will be able to use all the product in this container but thank God it’s just €1.49. 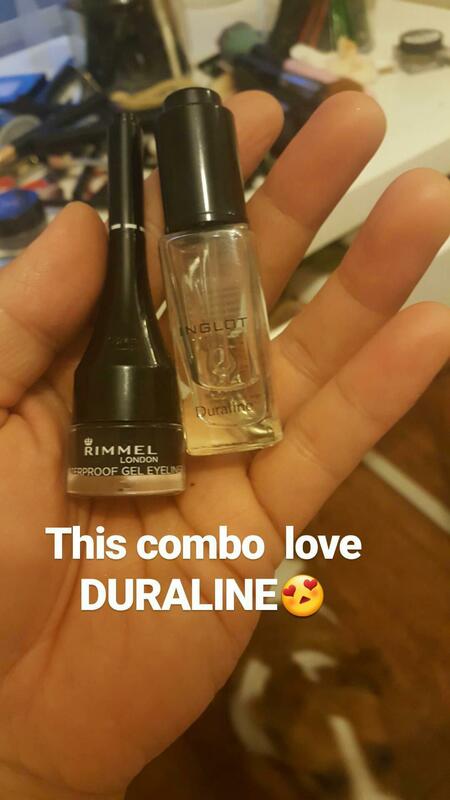 Yes I love INGLOT DURALINE so much and i definitely need a new bottle soon. 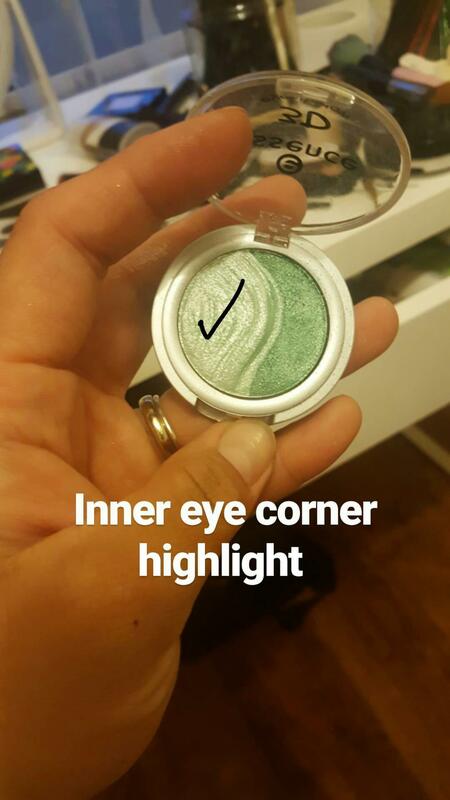 For the inner eye corner I used a mint shimmery eyeshadow as highlight I think this is discontinued. 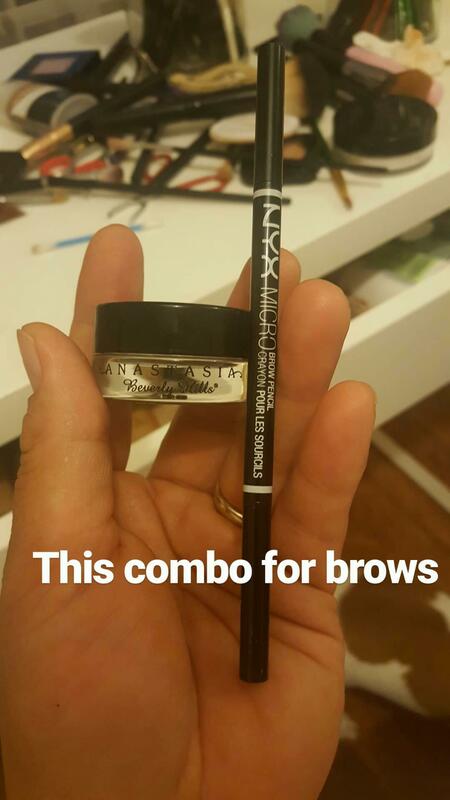 For my brows I used ANASTASIA dip brow in Chocolate and NYX micro brow pencil in Chocolate too. 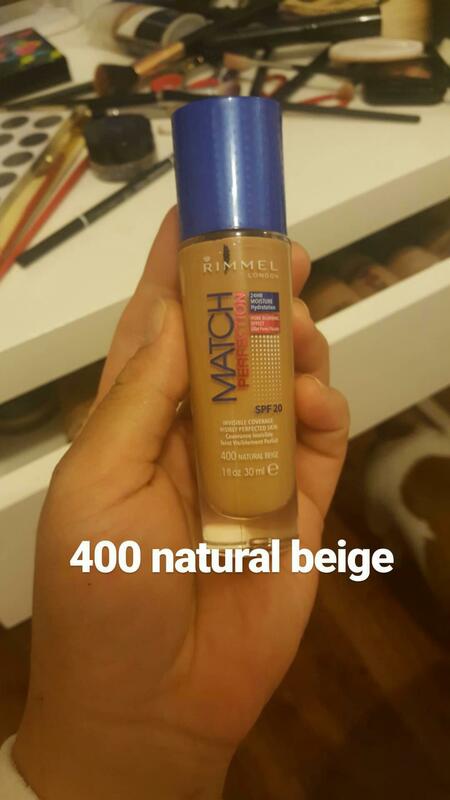 For foundation I used Rimmel Match perfection in 400 Natural Beige. I just picked up the Darkest shade available. On myself I don’t really like to wear heavy foundation since it will accentuate all my huge pores so 1 to 2 pumps that’s how much I used. Then I just go all Crazy with my eyemakeup. Yeah it’s pretty Dramatic Neutral but Dramatic. Eye makeup I have always been fascinated with eyemakeup, about 5-6 years ago I won’t dare to wear bright colours or smokey dark eyeshadows. Although attempts has been made at the end of the day it always looked bad. The colours fade the eyeshadows creased it’s not a pretty look at all. The eyeliner flick I don’t know how I’m actually able to do it now maybe still not as perfect the way other girls do it but I try my best and I do practice quite a lot. Above are the different eyemakeup I have tried on myself. 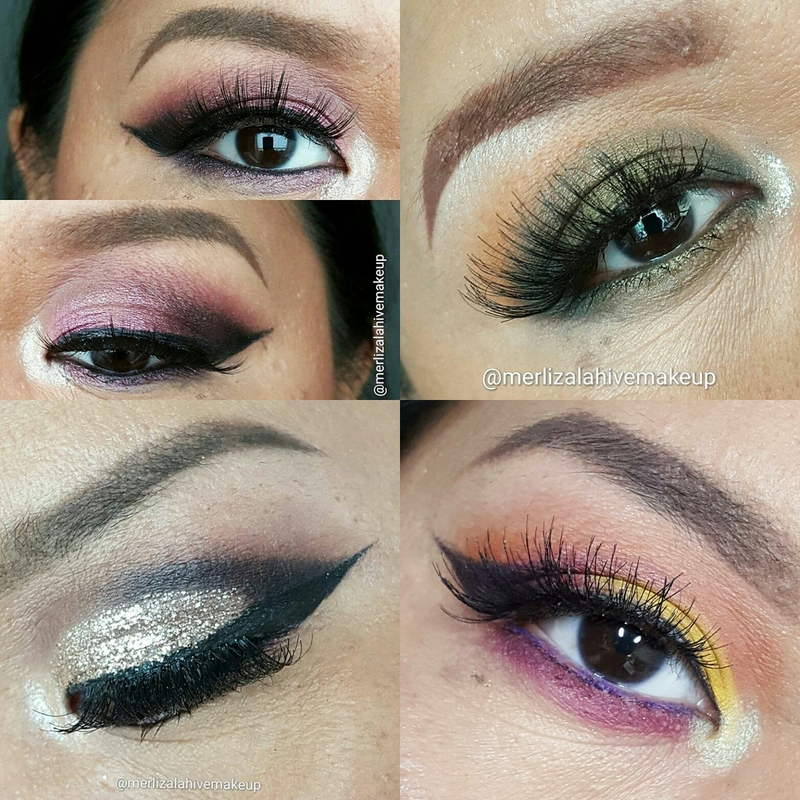 It’s obvious I like colourful shades but that doesn’t mean I dont love neutral eyeshadow, and if it makes sense I always always start with a neutral shade when doing my eyemakeup. Not all this eyemakeup look would flatter my eyes or even the shape of my face, sometimes I get it right sometimes I get it wrong. I’m very thankful its only makeup and I can just wipe it off and wash my face and voila I can start all over again.